SEATH, JOHN, teacher, civil servant, and author; b. 6 Jan. 1844 in Auchtermuchty, Scotland, son of John Seath, an engineer, and Isabel Herkless; m. 23 July 1873 Caroline Louisa McKenzie in Dundas, Ont., and they had a son and two daughters; d. 17 March 1919 in Toronto. In 1847 John Seath Sr moved with his family to the town of Monaghan (Republic of Ireland), where he became manager of a gasworks. Young John began his schooling there and at age 14 returned to Scotland to attend the University of Glasgow; it was from Queen’s University in Ireland, however, that he graduated, with a ba in 1861. That year the family emigrated to Upper Canada, likely to Toronto, where John’s father would work as a plumber, gas-fitter, and boarding-house proprietor. Intent on teaching, the 17-year-old Seath secured the headmastership of the Brampton high school in January 1862. 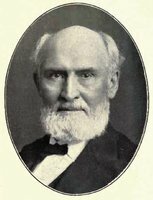 After taking similar positions in Oshawa (1869) and Dundas (1871), he was headmaster of the St Catharines Collegiate Institute from 1874 to 1884. He had become active within the Ontario Teachers’ Association in the 1860s and emerged as an outspoken commentator on education. Awarded a ba by the University of Toronto in 1864, he would receive an honorary ma from the Royal University of Ireland in 1882. Under Seath’s direction, the St Catharines Collegiate attracted scholars from across the province. Seath championed progressive education, in particular the movement to smooth the transition between schooling and work. Schooling was most effective, he argued, when students used their hands to complement mental learning and when aptitudes and occupational interests were also addressed. His love of academic studies – he published an edition of Milton’s Paradise lost in 1878 and a Latin text in 1881 – did not keep him from insisting on the need to introduce practical programs of study. Seath’s interests here, and in such areas as teacher training, drew the attention of politicians and bureaucrats. On 15 Oct. 1884 he was made a provincial inspector of high schools, to work alongside of John Eastwood Hodgson. Seath applied himself with characteristic zeal; his first report, in 1885, ran to 20 pages, while Hodgson’s was 4. He was soon convinced that a highly centralized school system was needed if the province was to adjust to the social and economic changes facing it, a view that reflected the policies of education minister George William Ross. Seath supported, for instance, a closer integration of high school programs and the matriculation requirements of universities and professional bodies. Elected in 1905, the Conservative government of James Pliny Whitney moved swiftly under education minister Robert Allan Pyne* to restructure Ontario’s educational system. The old position of superintendent of education was revived and on 25 May 1906 Seath was named to the post. Described by historian R. M. Stamp as the “chief architect for Whitney’s educational reforms,” Seath acted decisively, for instance in placing new normal schools in Peterborough, Hamilton, Stratford, and North Bay in 1906 and later in raising the requirements for university admission. Not all of Whitney’s major measures, however, were devised or condoned by Seath. The highly political Regulation 17 of 1912, which limited the use of French for instruction and communication in schools, he opposed as virtually unenforceable and contrary to the interests of many students. As superintendent, Seath continued his close study of technical education. After examining European and American facilities, he compiled his impressions and recommendations in 1910 and published them the next year as Education for industrial purposes, which led to the comprehensive Industrial Education Act of 1911. Drafted by Seath, it authorized municipalities to establish technical schools and to complement existing programs in manual training, commerce, and domestic science at the elementary and secondary levels. Perhaps the most important feature was the promise of funding for all forms of vocational education. With minor changes, this act would be the basis of provincial policy on vocational education until 1960. Educational reform in Ontario slowed during World War I, in part because of the ageing superintendent’s abrasive personality and unwillingness to step down before his death in 1919. Contemporary assessment of Seath’s contribution was mixed. 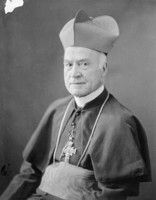 He was awarded llds by Queen’s College in Kingston in 1902 and the University of Toronto in 1905. In the view of the province’s first director of industrial and technical education, Francis Walter Merchant*, the history of education in Ontario between 1906 and 1919 was “the history of Dr. Seath.” Some admired his commitment to reform; others hated his authoritarian style. Much controversy has centred on Seath’s intent for technical training. A few modern historians have argued that he harboured a bias toward academic subjects that kept him from proposing the full integration of technical schools into the secondary system. Others maintain that he wanted them to equal regular high schools and that his act of 1911 was a compromise between his high hope and the putative needs of industrial Ontario, as well as the political agendas of interest groups. In this regard Seath was trying to conciliate such groups as the Canadian Manufacturers’ Association, which thought technical education should train skilled and obedient craftsmen, and constituencies such as the teachers of traditional high school subjects, who feared that advantaging the new subjects would lower the prestige of their own. In the event, by the time Seath died in 1919, few schools had adopted his reform proposals. This situation changed, however, because in the same year the dominion parliament passed the Technical Education Act, which triggered a decade-long federal investment of $10 million in technical education. This legislation, as much as Seath’s efforts, carved out a place for technical education within the 20th-century high school curriculum. John Seath’s report on Manual training and high school courses of study . 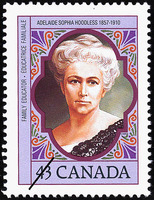 . . was issued at Toronto in 1901 in monograph form and in the Report of the minister of education for 1900, app.P: 216–86. The report he prepared in 1910, Education for industrial purposes . . . , was published in Toronto the following year. AO, RG 22-305, no.38097; RG 80-5-0-39, no.12120. NA, RG 31, C1, 1871, Toronto, St James’ Ward, div.3: 41 (mfm. at AO). M. J. Brewin, “The establishment of an industrial education system in Ontario” (ma thesis, Univ. of Toronto, 1967). Canadian men and women of the time (Morgan; 1898 and 1912). Directory, Toronto, 1875, 1878. C. C. Lloyd, “John Seath and the development of vocational education in Ontario, 1890–1920” (d.ed. thesis, Univ. of Toronto, 1985). [F. W. Merchant], “John Seath, m.a., ll.d., superintendent of education for Ontario,” Ontario Educational Assoc., Proc. 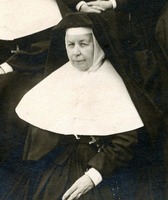 of the annual convention (Toronto), 1919: 507–14. Ont., Legislature, Sessional papers, 1885, no.5: 74; 1886, no.5: 152–72; 1906, no.12: 184. Stuart Semple, “John Seath’s concept of vocational education in the school system of Ontario, 1884–1911” (m.ed. thesis, Univ. of Toronto, 1964). John Squair, John Seath and the school system of Ontario ([Toronto], 1920). R. M. Stamp, “The campaign for technical education in Ontario, 1876–1914” (phd thesis, Univ. of Western Ont., London, 1970); The schools of Ontario, 1876–1976 (Toronto, 1982). Standard dict. of Canadian biog. (Roberts and Tunnell). Ian Dowbiggin, “SEATH, JOHN,” in Dictionary of Canadian Biography, vol. 14, University of Toronto/Université Laval, 2003–, accessed April 26, 2019, http://www.biographi.ca/en/bio/seath_john_14E.html.